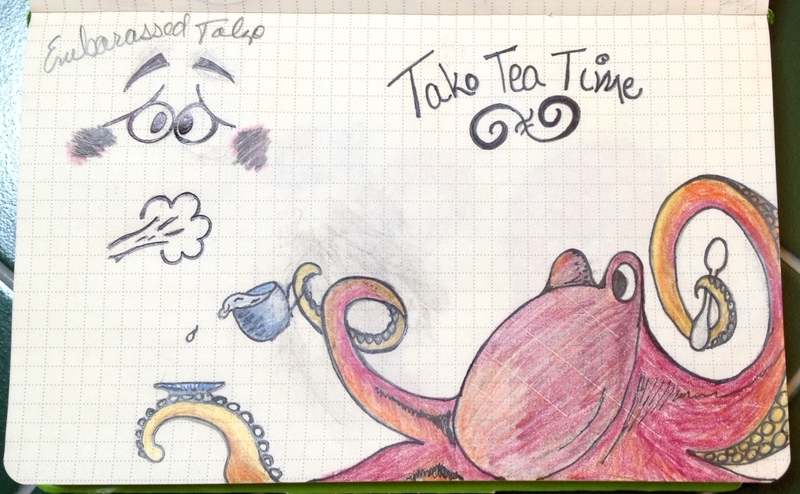 Yesterday’s theme was a Tako Tea Party…. 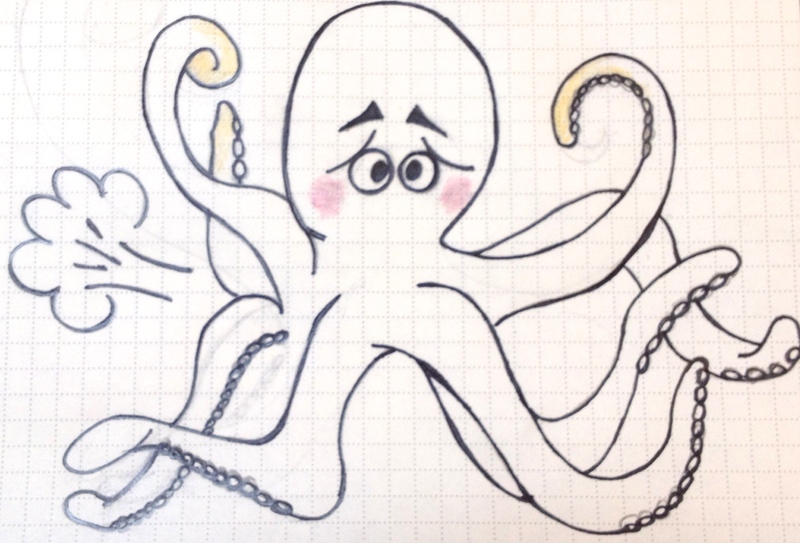 And then an embarrassed Tako who had Yakiimo, baked sweet potato, for lunch. I know I should do the dishes, but he is begging to be colored in!